the handmade potter halo is thrown on a potter’s wheel using a specially formulated high grade porcelain. 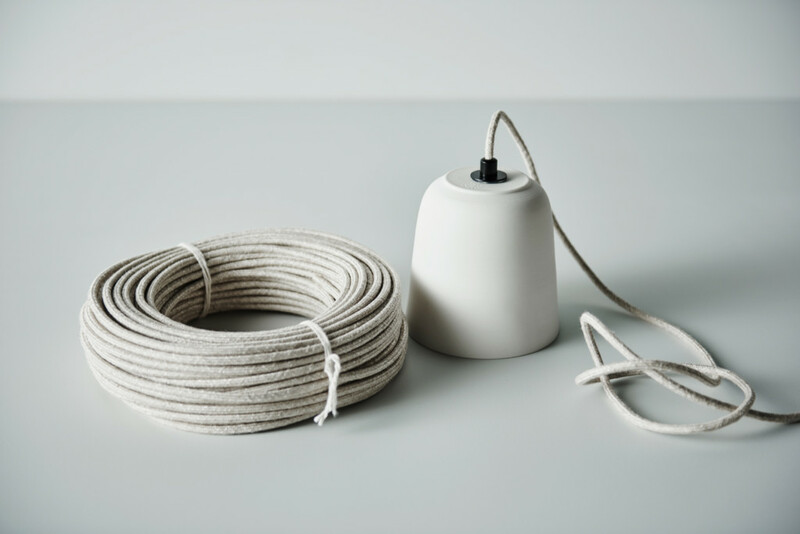 sourced from a producer in tasmania, australia, the porcelain anchor ceramics use to make the potter halo is internationally regarded as one of the best in the world. 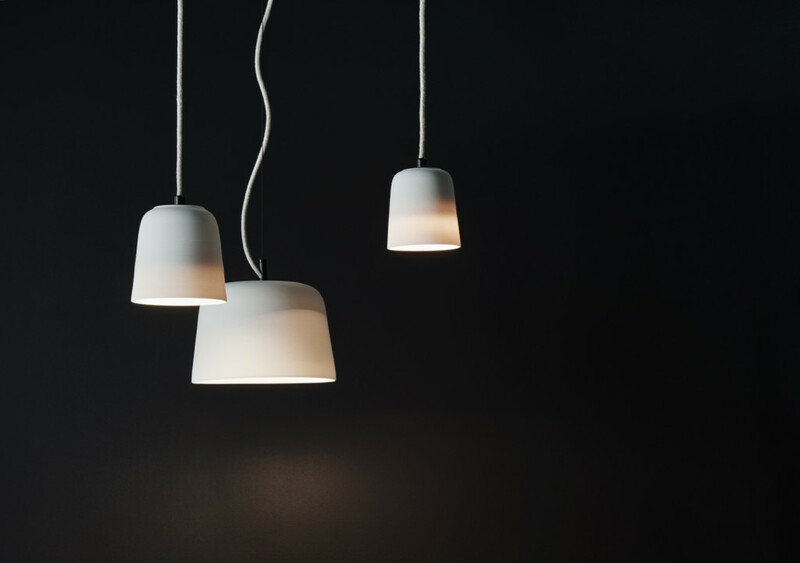 the porcelain’s highly refined nature produces a translucent surface that glows softly when illuminated from within. 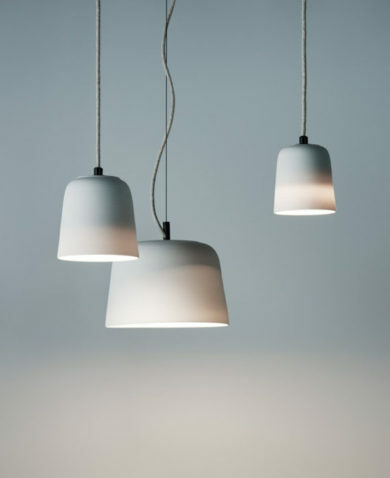 the potter halo is left unglazed to encourage the translucency of the claybody and to celebrate the delicate softness of the porcelain surface. a pale grey linen covered flex completes the assembly.